Today I’m asking 5 questions to Rhea, aka DevotedDiarist, a fellow letter writer and mail artist. First Fab, thank you for having me and for being such an amazing inspiration to the mail art community! My name is Rhea Abramson. I was born and raised on St. Croix, the largest of the US Virgin Islands a few decades ago ; ) I’ve lived in NYC for the last 18 years – but right now I am on sabbatical back in St. Croix. In May I left my job of 15 years as a Marketing Executive at a company that does television retailing. I did that to focus more fully on growing Mail More Love and revamp one of my grandmother’s businesses. That has been keeping me pretty busy for the last 2 months. I’m looking forward to things settling down a little soon so I can enjoy being in St. Croix. As I type, I am headed back to NYC to attend NY NOW to plan Mail More Love subscription boxes through the end of the year. When I am not working on any of the above you can find me drawing, coloring, working on the posts I do daily for my @Devoteddiarist Instagram, designing rubber stamps, reading, or hanging out with my boyfriend. I’m kind of a workaholic so I am never idle for long. On your IG you share lots of photos of your mail art and correspondence. When/How did you first get into it? I was doing a lot of hand lettering in my journal. I was on vacation in Ojai, CA with my friend Leah Pearlman who is a comic illustrator and she asked me why I wasn’t showing my work in a public way. It got me thinking. I had read an Austin Kleon book about doing just that and so I decided to start Devoted Diarist on Instagram. Some people ask me why my insta is called Devoted Diarist when essentially I am the Card Whisperer. Years ago, fueled by whatever self help book I was reading at the time, I sent my closest friends a questionarie about me to help me understand how people see me. One of the questions was list 7 adjectives that describe Rhea. Every single one came back with the word devoted. I never saw myself that way but I very much am devoted – once I’m in I stick with things – jobs, projects, friendships. So the word just stuck. And I have been keeping a diary since I was 5 years old. My first one was a little red leather diary with a lock and key. Throughout my life I have always journaled. About 8 years ago I began collaging and lettering in my journals instead of just writing to clear my head. So Devoted Diarist started just to show that work. Ever so often I showed some of my mail art and found that I got a lot more likes for that work. At the time, I was addicted to the likes so I decided to do a 30 day snail mail challenge to get myself to use some of the cards in my ever growing stash (AKA mountain) and people started following along. Then around the end of the year, one of my pen pals, Kate from Of Note Stationers inspired me to do a year-long challenge. On January 1st 2016 I began my “yearofsnailmail” – 366 days of letters (check out the hashtag on Instagram). At the end of 2016, I was a little tired and decided to would stop posting every day and just do one love letter a week, #52loveletters. But I found very quickly that I couldn’t stop writing letters and doing mail art and sending to all my friends, family and pen pals because I loved it so much. I continued to post EVERY day. I’m already starting to think about what the 2018 project will be but, but I’m simmering. And it will be less involved. What’s the best thing/What do you love the most about mail art and correspondence? My FAVORITE thing to do is read a letter I have received and then sit in front of my collection of cards and pick the perfect card for the person I am writing to. I think it all goes back to being a merchandiser, which was my career for so long. I love looking at all the beautiful art that card makers create and I love matching that to a recipient. I also love hand lettering. Picking the style I will draw the name in and then coloring it. I also ADORE working with rubber stamps which is why I design my own and have a HUGE (too big) collection. My favorite kind of mail to make is one with lots of stamping on it. These pieces take the most time and concentration but it also the time when my brain goes into FLOW. Named by Mihaly Csikszentmihalyi as the mental state of operation in which a person performing an activity is fully immersed in a feeling og energized focus, full involvement, and enjoyment in the process of activity. I don’t get into that state enough these days now that I am away from my “Carrie Bradshaw” desk, which is in NYC. The other thing I LOVE about correspondence is the connection. I have some penpals who are amazing writers and reading a letter from them feels like floating through each of their experiences with them. I love being part of peoples’ lives at a distance and learning about them even though we can’t be together. These relationships are deeper and more meaningful. One of my favorite letters ever was when one of my Mail More Love customers and a member of the LA Pen Pal Club wrote me about how she and met husband got together. I had read that letter over and over and travelling through that experience by reading her letter cemented their relationship and their love story in my mind in a way that just hearing it never could. I can see each scene of their meeting and courtship as I type. I’ve just started reading the love letters of Georgia O’Keefe and Alfred Stieglitz. The first volume is so thick I don’t know if I will ever get through it in this lifetime but I am loving each letter – they are just magical. Just start! Start writing letters to people you know and people you don’t know. Join a letter writing group like The Letter Writers Alliance – they can match you to a penpal. Depending on where you live you can even join a letter writing club - search for them on Instagram. When you write to others, the response you get either with returned letters or calls or texts will inspire you to write more. It’s such an amazing act to put your life on paper – you will get the bug – promise! Yes – oh my goodness soooo many! My friend Eunice of @thedailyroe – my goodness her mail art and her journals are some of the most STUNNING things I have ever seen. When I get letters from her I usually don’t open them for days because I don’t want to disrupt their beauty. My biggest inspiration is my friend Samantha Dion Baker @sdionbakerdesign – she is member of my group, the NYC Letter Writers Society @nycletterwriterssociety and her daily journal pages give me life. Her work is as stunning the woman she is. I look forward to her posts and when I need a pick me up I look at past posts and read some of the inspirational quotes or just marvel at her drawing. What a talent. I also LOVE @alyxcullen, @daniellekroll, @kelseygarrityriley @kylieann @cestriley @papermint_paris @craftedbycarly @raechild – clearly I want to be reincarnated as an illustrator with some talent : ) I’ve forgotten a ton of people but this is a good list. If you've never written a letter and are thinking of giving it a go, Rhea's Instagram feed is the place to go for inspiration. She's always posting the nicest cards accompanied by lovely and colorful lettering that I'm sure will make you want to get started! Make sure to check her Instagram account for more gorgeous photos of her lettering and creations. 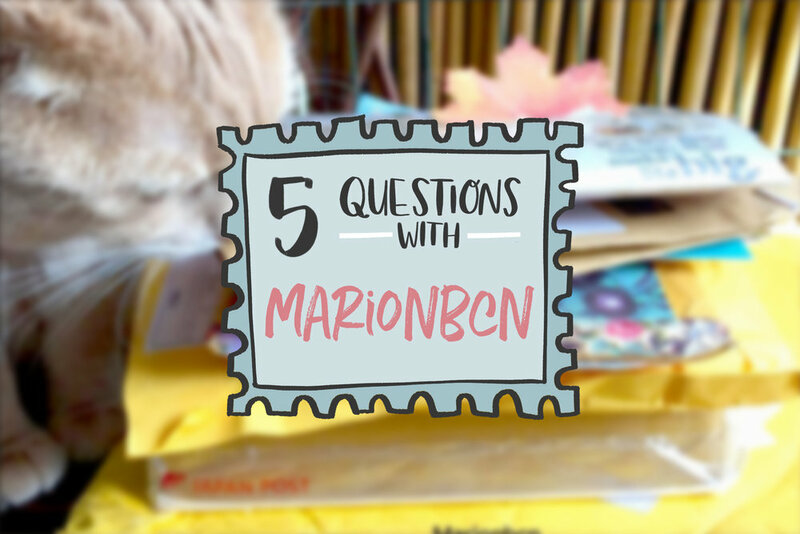 And if you fancy, you can read the previous 5QsWith Patrick aka Edelweiss Post and Raquel aka MarionBCN. 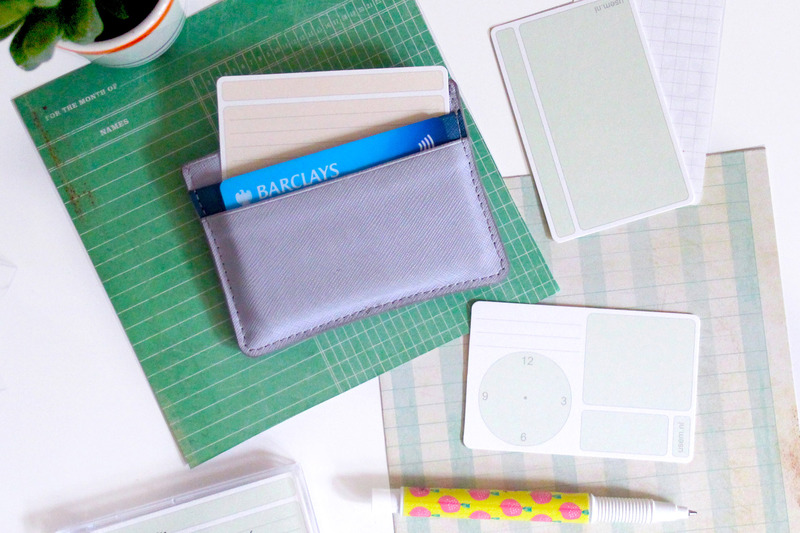 I'm sure all of us stationery heads are always on the look out for the latest, prettiest bits of stationery on the market... but what about more practical ones? I must admit I often go for looks rather than function, but I've recently come across a product I thought was a game-changer. These are called Usem cards; simply put, they are note cards the size of a credit card. Their maker thought there was a gap in the market for a product of that size. 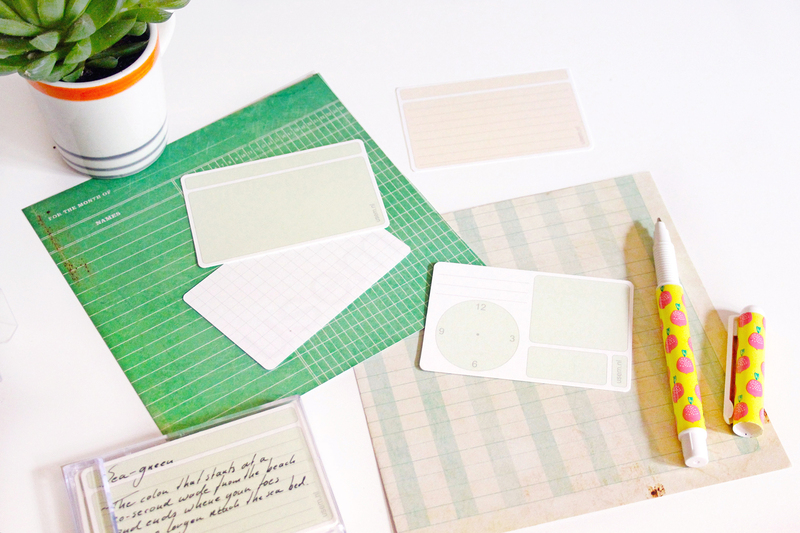 What if you just need to jot down a short message for someone and don’t have time to go out and buy a full size card? I mean, you could use a napkin, but as romantic as it is, it’s not the most practical solution, is it? This is where Usem comes to the rescue as thanks to their size, they fit perfectly in your wallet, business card holder, and they’re just easy to carry in general. I don’t know about you but I love this idea. I have the bad habit of tearing pieces of paper from my agenda when I need to hand someone a note - which leads to having a pretty ugly looking bunch of pages with missing corners throughout my diary and journals. I also think that as much as we rely so much on our phone and apps, sometimes jotting something down on a piece of paper is much better - regardless if it's a reminder for yourself or a note to someone else. I'm already using my cards for a couple of things: I've put one in my card holder, purse and wallet with an "if lost" message with my contact information (which were previously scribbled on the back of an old receipt, ha!) and I also carry some in bag in case of necessity. Instagram is a wonderful place to find like-minded people, and I’ve been really lucky to stumble upon some brilliant individuals that not only inspire me with the beautiful images they share, but also with their incredible passion for what they do. ‘5 Questions With’ is going to be a segment where I introduce you to those people: it will be a great opportunity to learn more about them and also to - hopefully - inspire you, too. Today I’m asking 5 questions to Patrick, aka EdelweissPost, a mail artist and supporter of all things postal. Hi Patrick, can you tell us a little bit about yourself? On your IG you share lots of photos of your mail art and postage stamps. 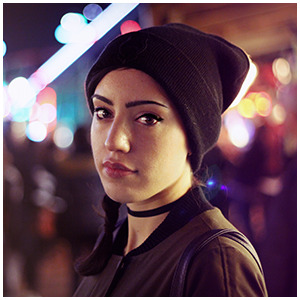 When/How did you first get into it? I first got into vintage stamps - and mail - when planning my wedding, actually. I wanted my invitations to be something nobody had seen before, and a treasure my guests would want to keep forever. My stamp-collecting grandfather had passed away recently and I also wanted to do some kind of memorial to him which didn't involve candles, and I saw online that someone had used vintage stamps on their invitations and I was sold! What a special and fitting homage to him. And when I traveled to the local mom and pop stamp shop a mile from my house, it was truly love at first sight. There were so many options with vintage stamps, because you had decades worth to choose from - all different colors, subject matter, etc. On most of my invitations, I catered the stamps to what I thought each recipient would like, so they were even more personalized that way. Many people ask "Why the name Edelweiss Post?" Well, I had always had a fondness for The Sound of Music and my grandparents had an old Swiss music box which played that haunting lullaby. Additionally, the flowers at our wedding appeared in different classic movies. It was edelweiss we wore as boutineers, as the symbolizes male fidelity, because it only grows on rocky cliffs high in the mountains, and suitors would venture out on the treacherous terrain in order to pick it for their love. What do you love the most about mail art and philately? The best thing I love about mail art is that it captures the imagination. After I send off mail art plastered in beautiful old stamps, I daydream about who comes across this unexpected art, from my local mailman to the postal workers on the line, in the trucks, and the delivery person on the other end, and finally its intended recipient. What pleasant surprises mail art brings to all who are lucky enough to receive it or come in contact with it! And stamps, well they are simply tiny pieces of limited edition art. But they're more. Not only do they decorate the envelope, they are magical tickets which give wings to our very thoughts and wishes, flying them 1st Class to almost anywhere on earth we want them to go. If that's not magic, I don't know what is. The advice I always give to people starting out doing mail art: Don't wait - Just create! Don't question it. Don't think it's not good enough. Experiment. Be bold and brave. There is so much beautiful mail art talent I'm inspired by on Instagram, I'm reluctant to mention just a small group, so I'll stick with my all time favorite: The Devoted Diarist, who also runs the postal-themed subscription box Mail More Love. She has since become a pen pal and my snail mail bestie, and we finally met in person a few weeks ago after a year and a half! That's another thing about mail - it brings people together from great distances. Make sure to check his Instagram account for more gorgeous photos of his mail art, and his Etsy shop for lots of philatelic goodness. I have many other wonderful people lined up for this segment, so I hope you're as excited about it as I am! After a year and a half, I’ve finally come to accept that my creative-mess desk days are a thing of the past; the desk in my flat is really small, so I have to keep it as tidy as possible if I want to be able to comfortably work on it. That’s why I don’t really display anything on it anymore, except for a corner where I keep my corkboard, pen pots, books I’m currently reading, and the occasional bits and bobs I may have laying around (because let’s face it, there’s no way my desk would stay that tidy for longer than the time needed to take a couple of photos, no matter how I hard I try). Because the creative space is limited, I like to mix it up every now and again, so that I don’t get bored of it. 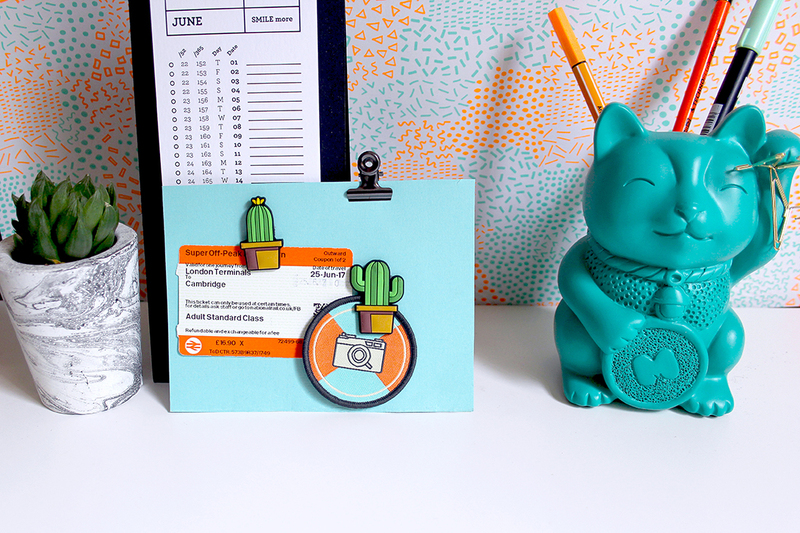 My current setup is featuring lots of pops of teal (no surprises there) and a couple of pieces from Mustard, a stationery brand I've spotted in a few different shops in the past, but that I got to know better at the London Stationery Show earlier this year. 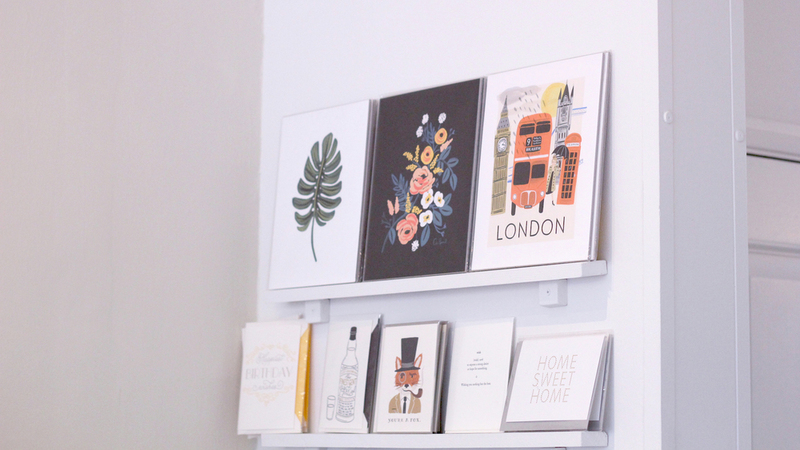 They specialise in very trendy, novelty stationery and accessories. They have several collections out now that I really like, but they all seem to be very fun and bright - which is something I can definitely get behind. They kindly offered to send me a couple of things from their catalogue, and this is what I've picked. 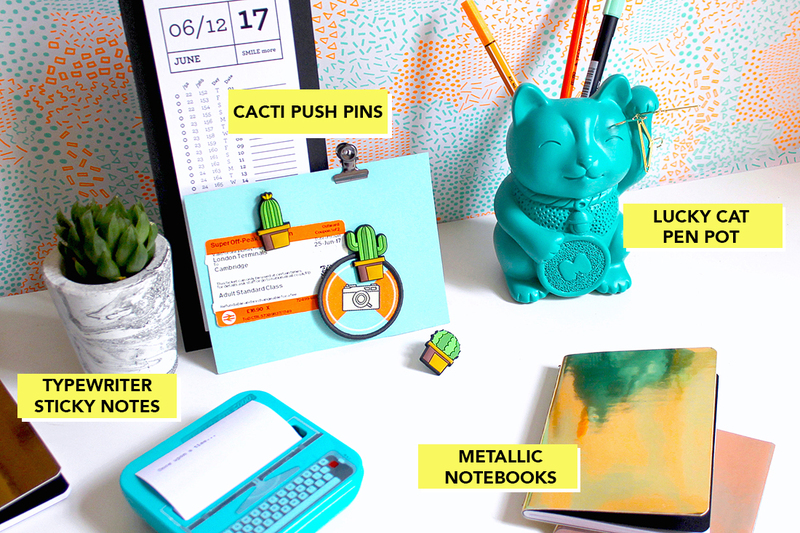 Cactus Push Pins: I don't think I need to say more.. just look at them! I was using just regular black push pins before and I don't think I can go back now! 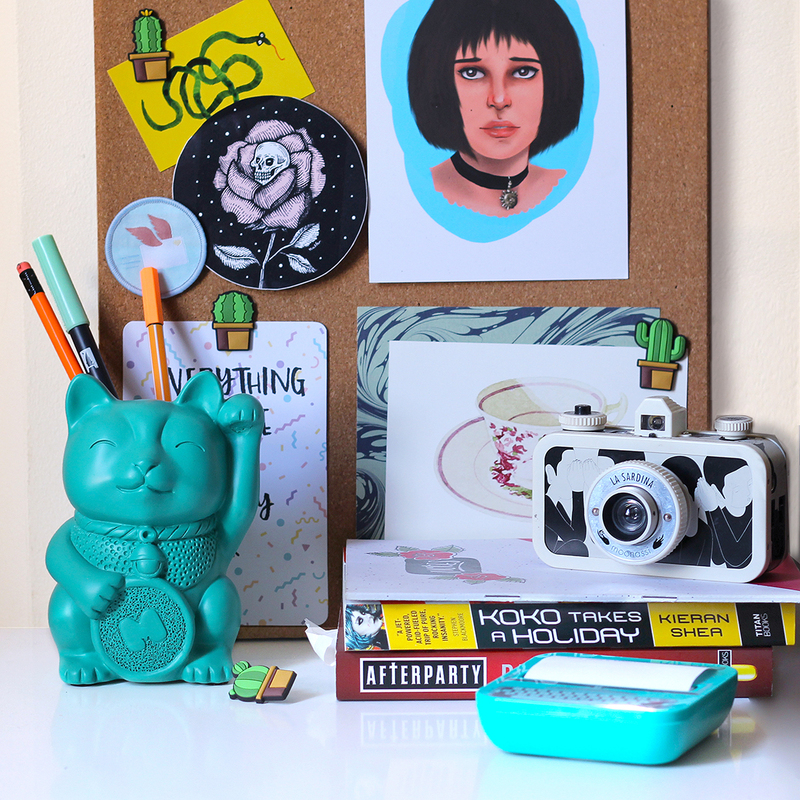 Lucky Cat Pen Pot: I do love me a bit of Japan-esque decor, so this was an obvious choice. What really sealed the deal tho was the magnetic paw.. how genious is that? No more loose paperclips! Typewriter Sticky Notes: when I moved to London I had to leave behind my beloved typewriter - and because of the lack of space mentioned earlier, I can't see myself getting another one anytime soon - so this sweet sticky notes holder is the perfect compromise. 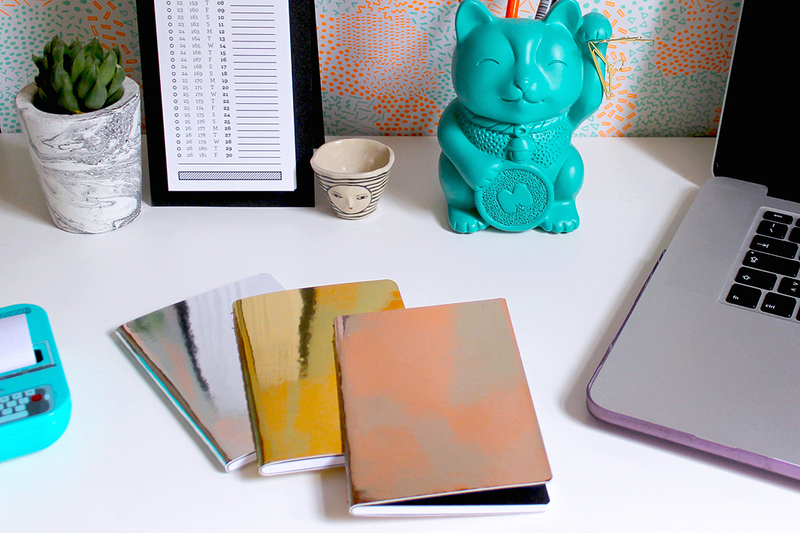 Metallic Notebooks: again, easy chioce! If I see a notebook I like, chances are I won't resist getting it.. even better if they come in packs of three AND are metallic, right? I love the plain yet stricking covers, and I am currently DIY-ing them, so stay tuned for the upcoming post.